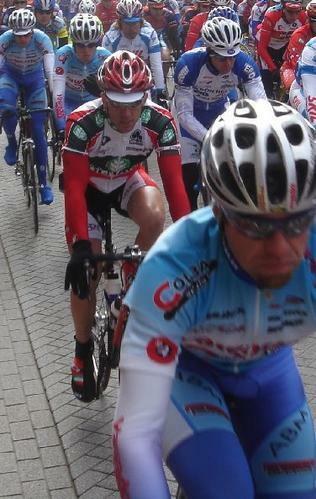 Today I rode the GP Rudy Dhaenens, a belgian pro race. 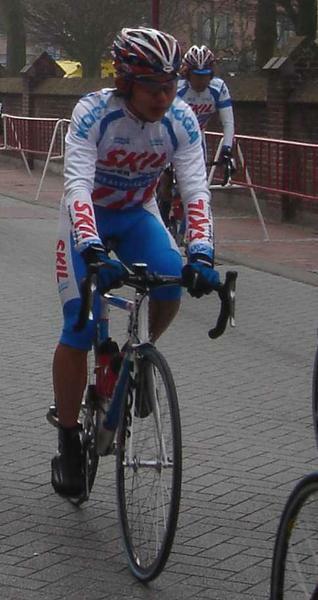 One of the starting teams was Dutch team Skil-Shimano. As mentioned on Roues Artisanales before, this team would test ride the prototype of Shimano’s electric group. 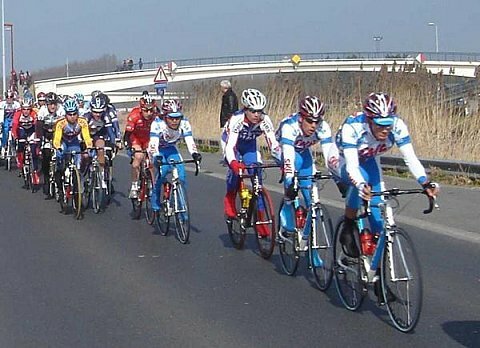 The race was won by former mountainbike world champion Filip Meirhaeghe (Landbouwkrediet-Colnago, pictured here at the start), who outsprinted Aart Vierhouten (Skil-Shimano rider, on Dura-Ace group) and Matthé Pronk (Unibet.com).